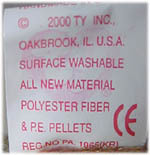 Clubby III was introduced during September of 2000. 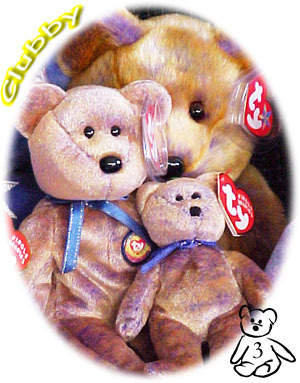 The Clubby III Beanie abd Buddy were introduced at the same time as a set! Registered members of the BBOC starting receiving newsletters from Ty announcing the new promotion! 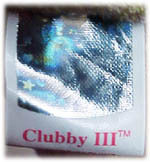 The Clubby III promotion was only for US residents this time. Members could call a hotline # 1-877-797-8218 between 7am and 7pm CST to order their Beanies and Buddies. Around mid September Ty opened up the ordering to international members by letting them order online starting Tuesday September 19, 2000. Members only had until November 18, 2000 to order these two promotions! 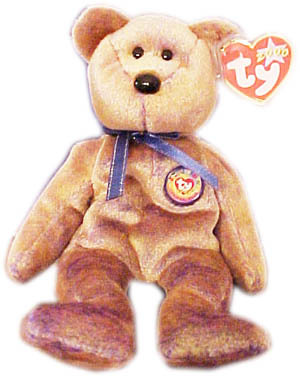 On September 24, 2001 Ty announced on the BBOC Website new Clubby Jingle Beanies! The small little guy you see in the image below is the Jingle Beanie!